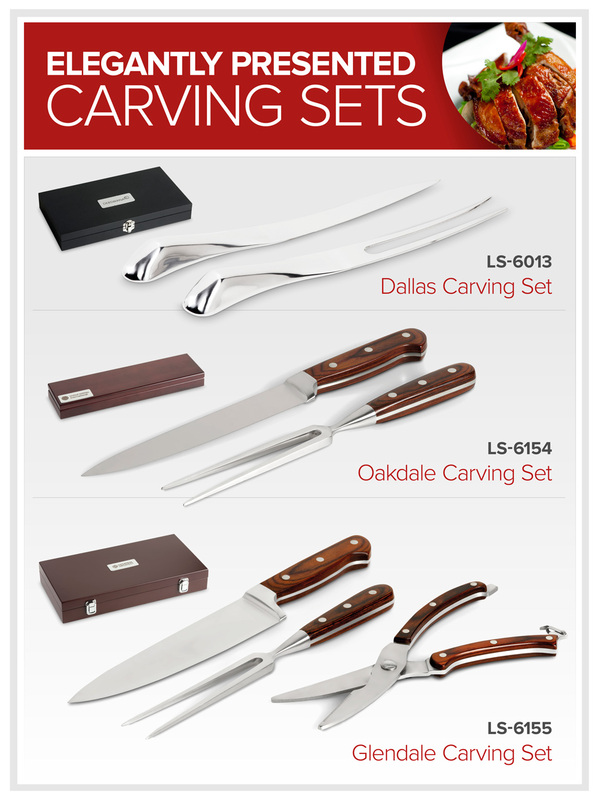 The range of elegantly presented carving knives are proven executive gifts. Perfect for casual or formal dining, your clients will appreciate these thoughtful and sophisticated gifts. Our carving sets also include a free branding plaque, allowing for the addition of your logo or message. Complement your outdoor events with the new Steakout Cooler Box!These coolers have been designed to accommodate a domed sticker in the recess, ideal f.. Your steaks are best experienced with our beautifully packaged Steak Knife Sets.To add a finishing touch, brand the free stainless steel plaques that ..